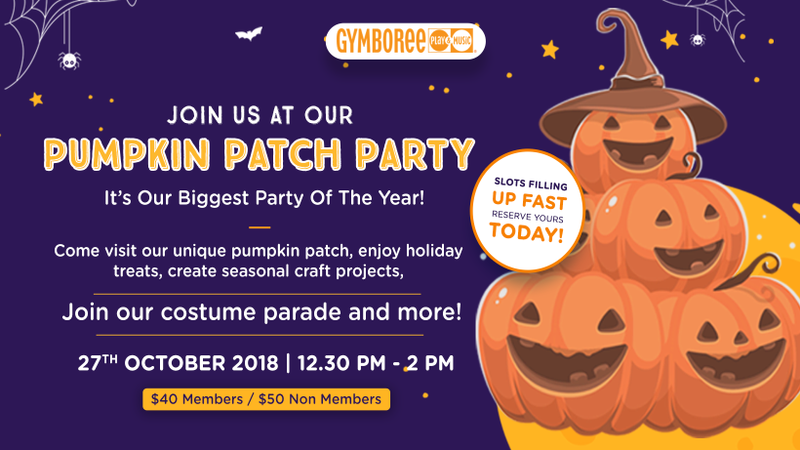 An exciting Halloween event scheduled at Gymboree! Mobile children to 60 months old can party to their heart's content at the Gymboree’s Halloween Party. The event is limited to 20 participants. Bring your child in costume! This event is going to be full of parades, parties, and trick or treating! Just in time for kids' candies celebration, join us for a delectable excursion in the world of sweets and other fun craft activities and much more. Calling all goblins, princesses, and superheroes, join us for a fun-filled afternoon. To save your spot call us at (65) 6735 5290.